If you need to transfer your license key to a new computer, you will need to reset your license key (we offer our license holder 3 free resets). License keys are designed to activate one computer at a time. 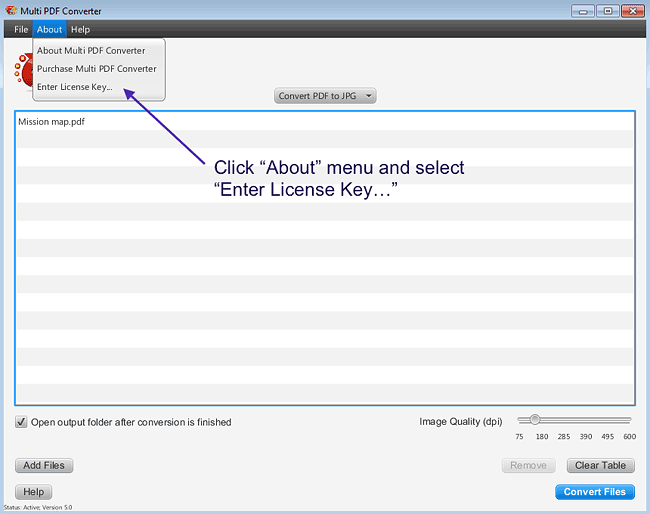 If you need to run Multi PDF Converter simultaneosly on multiple computers, you will need to purchase additional keys. Please be sure you have installed version 5.2 or higher. Check your key below to determine if your key is valid. Follow the instructions to complete step 1. (Can't find your key, click here).